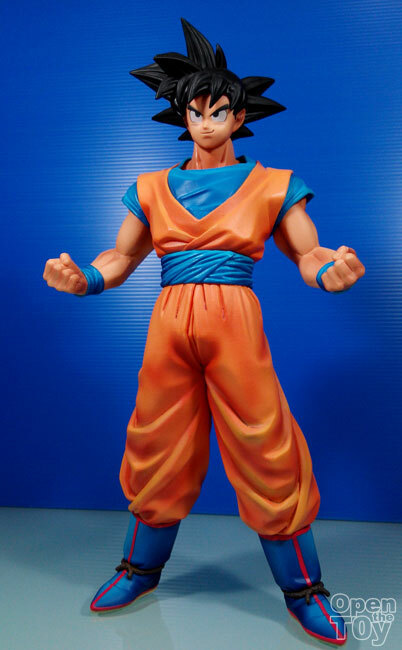 It has been sometime since I got a Dragonball figure in my collection and when I saw this Son Goku, it was a sure buy for me! Why? Because for sometime I saw a normal looking Gokou which look very much like how he is. 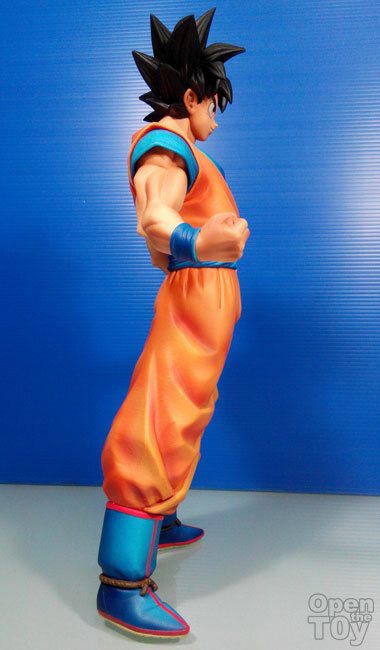 Honestly I am kinda tired to see too much Super Saiyan version of Son Gokou. This figure in Japan suppose to be UFO item or Jamma which uses a claw or crane to lift or push this box into an opening as winning the prize. 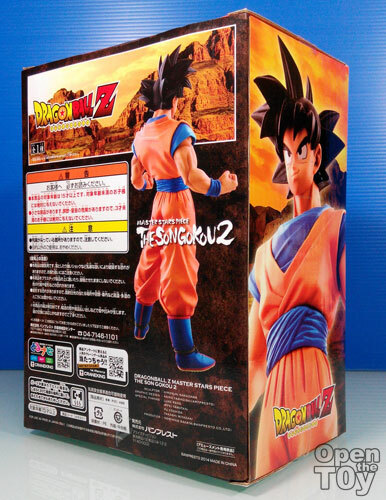 The overall look of the box is nicely done. Enough said, it is time to Open the Toy! 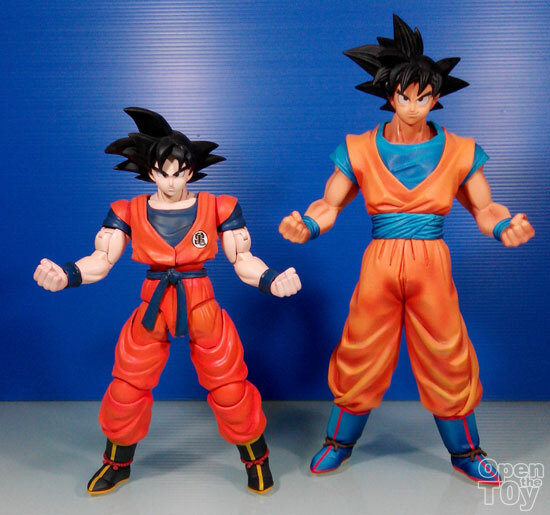 Out of box, there are 2 parts to join Gokou into the complete figure and he stood taller than the box. See how tall he is? He is around 12" in height and he is heavy! The coloring and pose was truly awesome. They even do tone spraying! 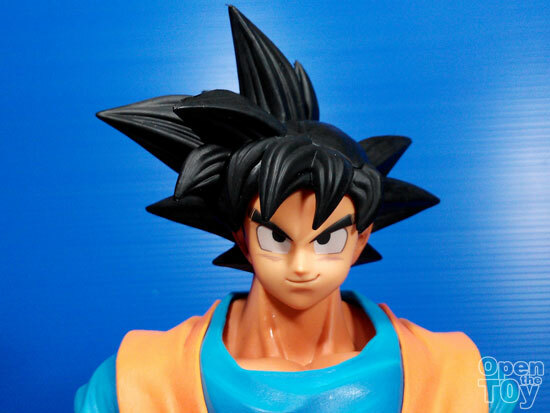 Close up of Goku face and you can see the signature look of a confidence look. 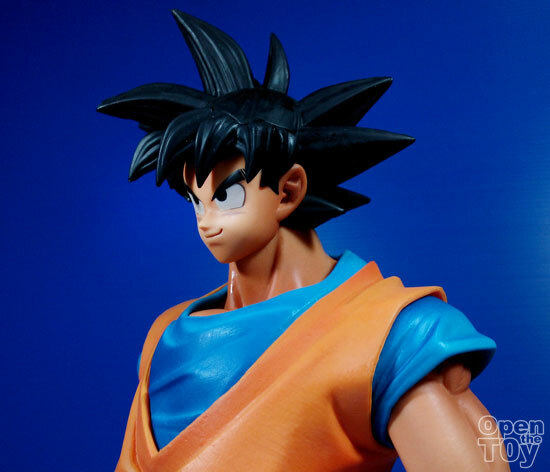 I notice the hair texture was more of Dragonball Kai Manga look where the artist started to draw some texture line on the hair than painted it black in the older drawing. 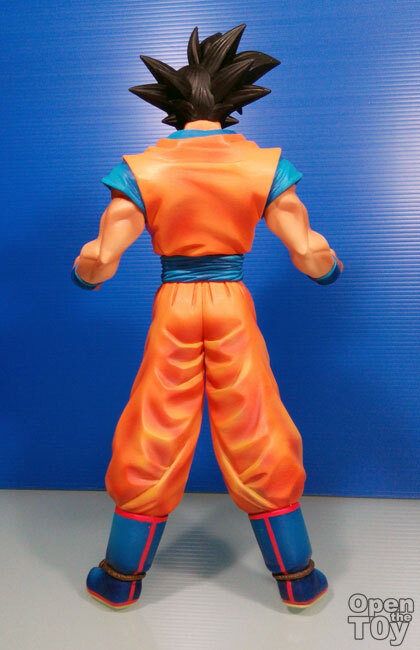 On the side view, the pose was more awesome! 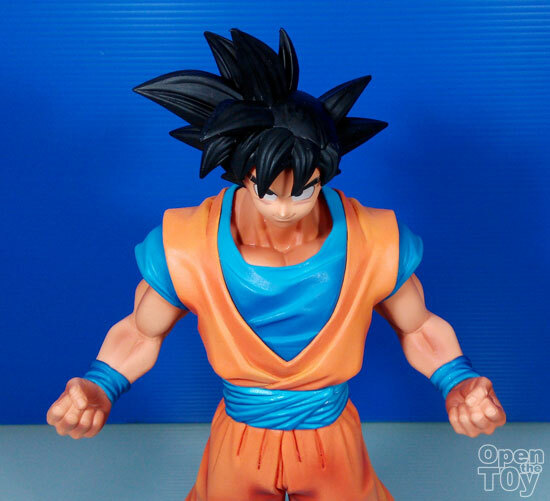 One challenge for making of normal Goku was the hair that need to look good in 360 degree due to the odd but signature hair style that never change for his character and this figure did that very well. Even on the side you can still see well the shape of the hair. Even on the top looking down, you still see the same shape of his hair. 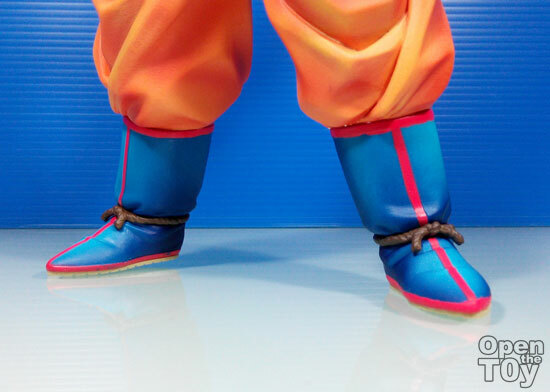 The detail of the shoes and the toning of colors and pants was truly well made. As for the skin tone he was rather tan but that is a healthy look to me. 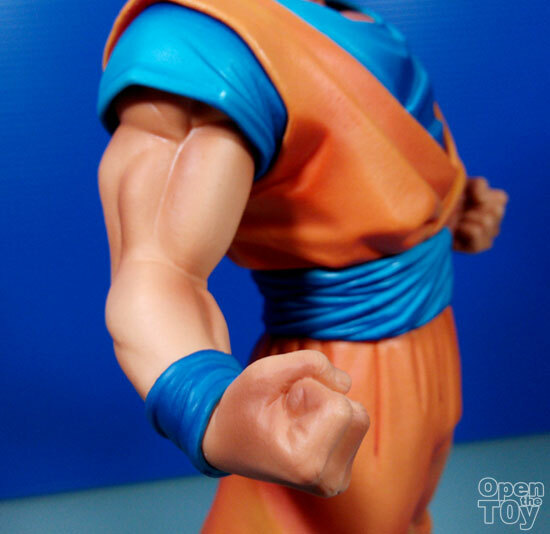 Just look at the muscle cutting of his arms. 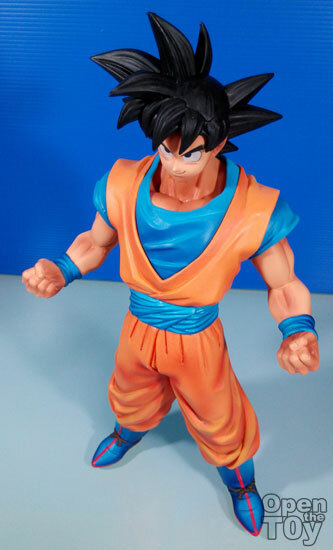 Before I have this figure, the tallest Goku I had was the Master grade Model kit Goku. Putting them together now make the model kit version look much shorter as it was 1/8 while the new MasterStars Piece should be 1/6 in scale. 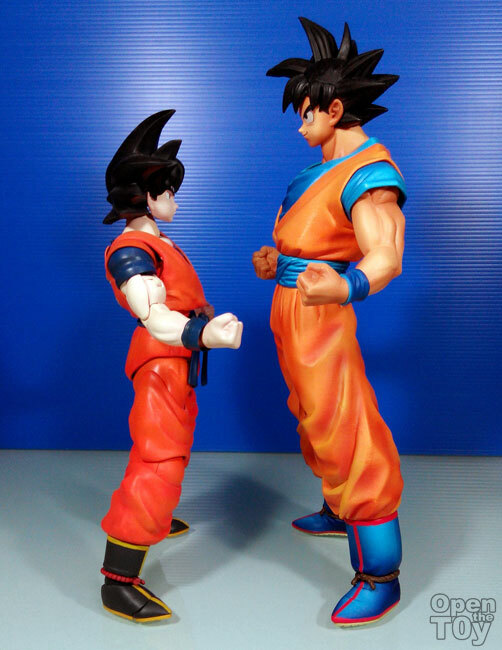 You can see the Master Stars Piece Son GoKou's eye level was way higher than the model kit version. 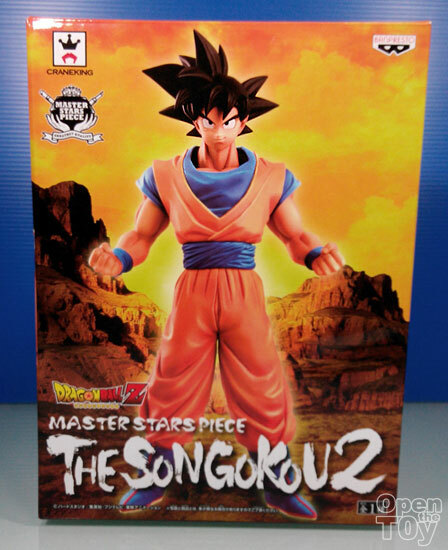 Overall I am loving this Masterstars Piece series for Dragonball and I guess I should be getting this series if they produce more such good quality figure. 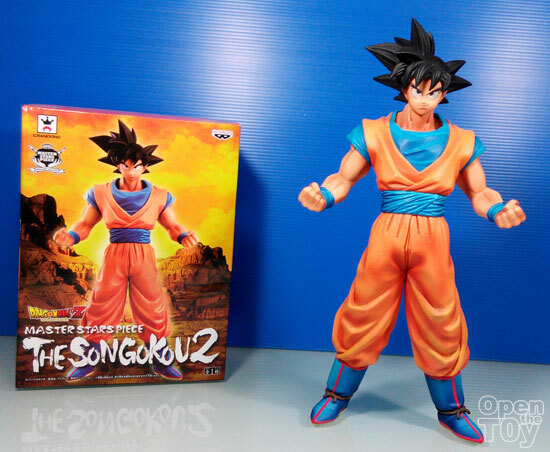 Do you like this version of Son Gokou?